Okay, if you remember last week, we loved up on the Chappell’s sports junk but we recommended it if you want to see just one game. Welp this week we are going back to a place where you can watch multiple games and watch the best one on a big ole 71″ inch plasma television screen. That’s right, folks, we are going back to the Brooksider. If you remember in the past, it was the best for big screens and good lookin’ waitresses. Now we are going there not really to review, but to watch Florida take on Alabama and Texas take on Nebraska. We’re gonna get a table seat in front of the big screen and park there the whole day. So come on out and hopefully help us dodge the live music traffic after the Big 12 Championship is over. Notes: It’s Championship Weekend as many of the conference titles will be decided in the next couple of days. There are even some regularly scheduled games that are play in for the BCS bowls. Just look at the Civil War with Oregon and Oregon State playing for a spot in the Rose Bowl. Back east for the Big East, the winner of the River City Rivalry will go on to a BCS bowl with Cincinnati playing Pittsburgh. The big game of the week obviously is in the SEC with Alabama taking on Florida. We really don’t know who’s going to win this one. Back in Big 12 country, the Texas Longhorns look to realize a BCS title game but first must take on the black shirts of the Nebraska Cornhuskers. The spread is pretty wide, but Vegas doesn’t know how tough Nebraska’s defense really is. We’ll find out about that and all the other games come Saturday. 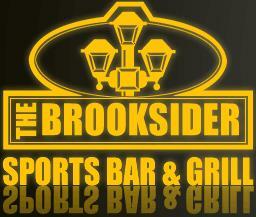 Hope to see you at the Brooksider!